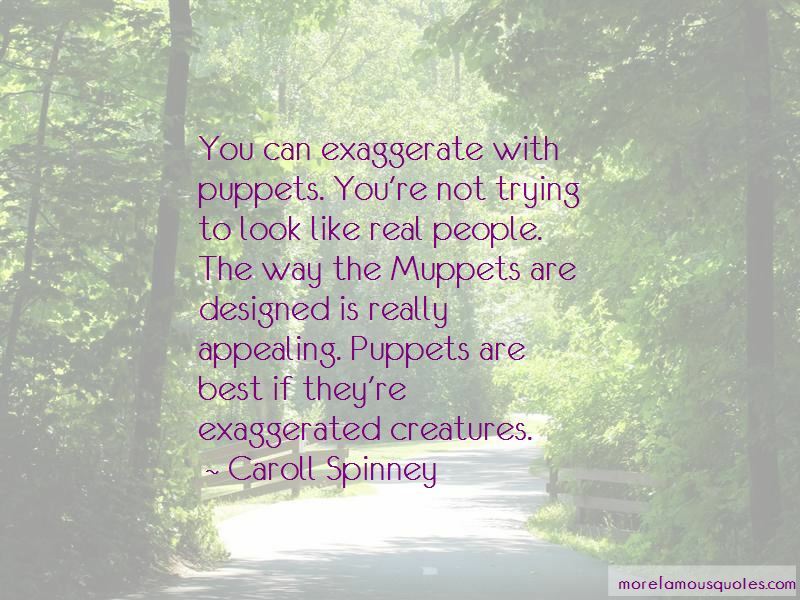 Enjoy the top 20 famous quotes, sayings and quotations by Caroll Spinney. Frankly, I think if I won the lottery and won a billion dollars, I'd still want to continue doing this job. I love expressing myself through it. I've gotten to really love acting. And I've gotten to know Big Bird from the inside out so thoroughly it's like playing my kid. I can't imagine deliberately stopping. I think there's an awful lot of me in Big Bird, but Oscar is pretty much - I think I know how he thinks because he thinks exactly the opposite of what I think is a good way to be. I was asked to be on 'The Colbert Report' last year as Big Bird and Oscar. But when we got there, we discovered they wanted both characters on at the same time. Stephen Colbert didn't know one man plays them both. We called Joey Mazzarino, our head writer, who's a very good puppeteer as well. He agreed to zip over and do Oscar. 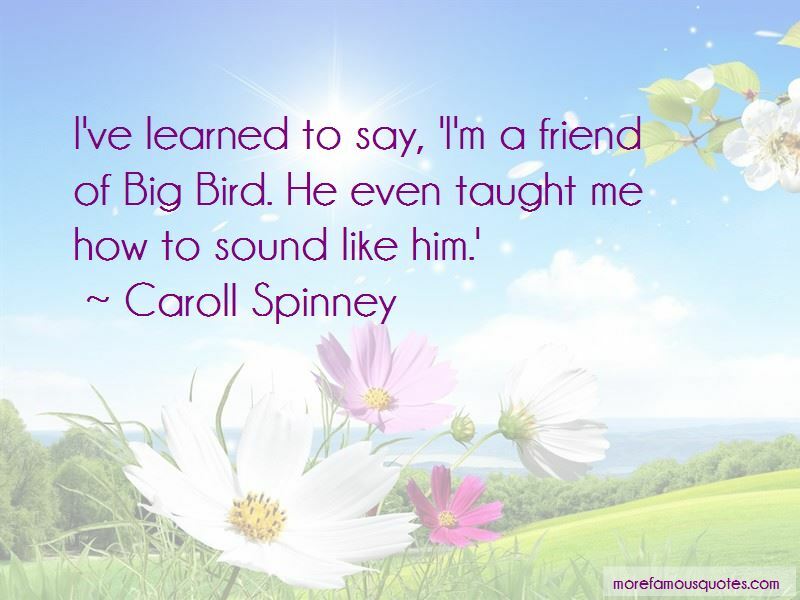 Want to see more pictures of Caroll Spinney quotes? 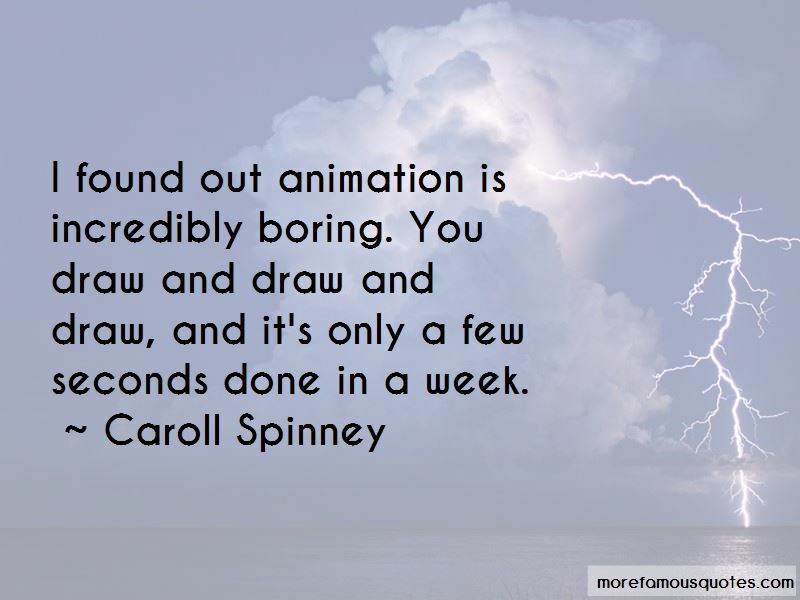 Click on image of Caroll Spinney quotes to view full size.